carla crossbody shoulder bag black python - robins hood - dutch design - interior - accessories - vintage. et voila; the perfect timeless small shoulderbag you always wished for. 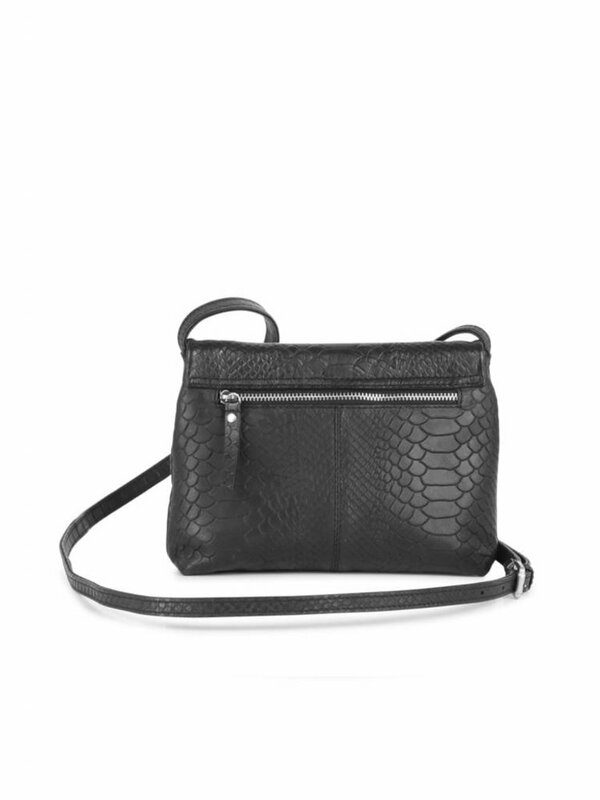 sustainably produced in top quality leather, markberg offers bags that are both practical and beautiful. the bag is closed by means of a magnet and has a handy pocket with zipper on the outside. 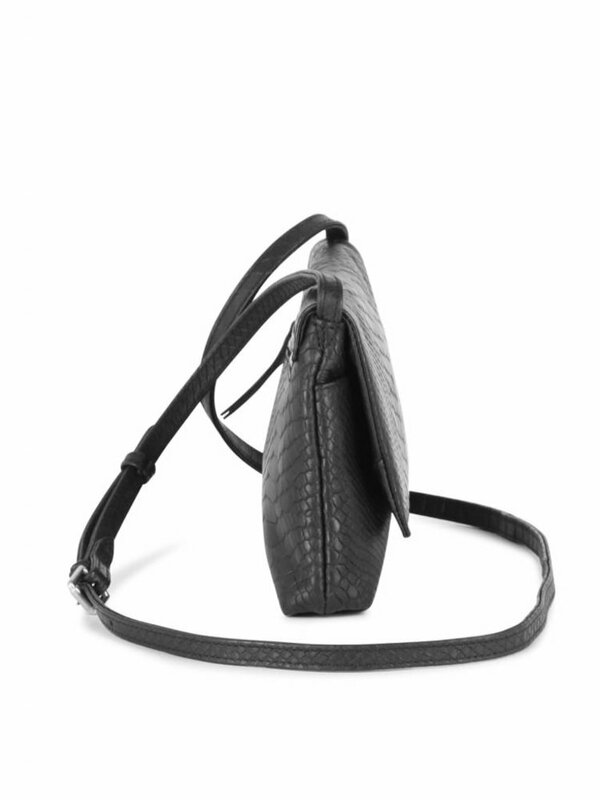 the crossbody belt is adjustable in height. 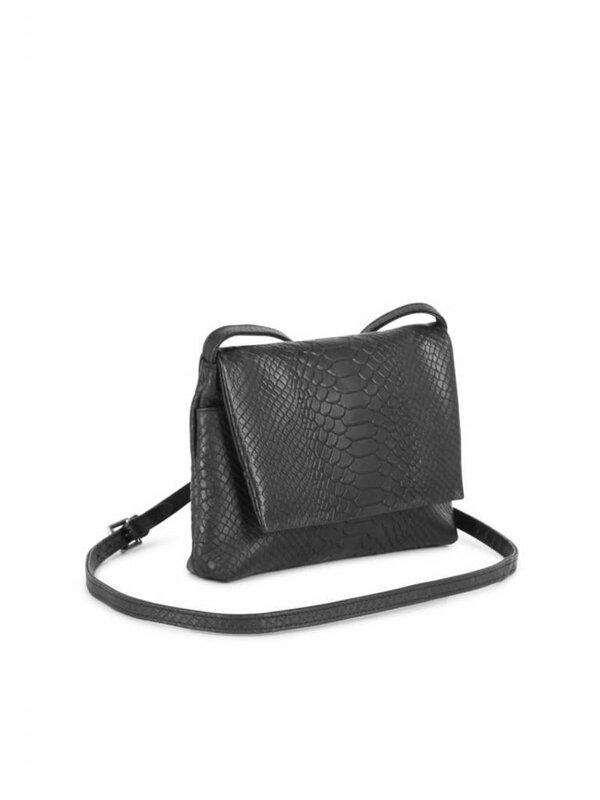 contemporary northern european design is key, minimalist style and elegance are guaranteed in this beautiful bag. 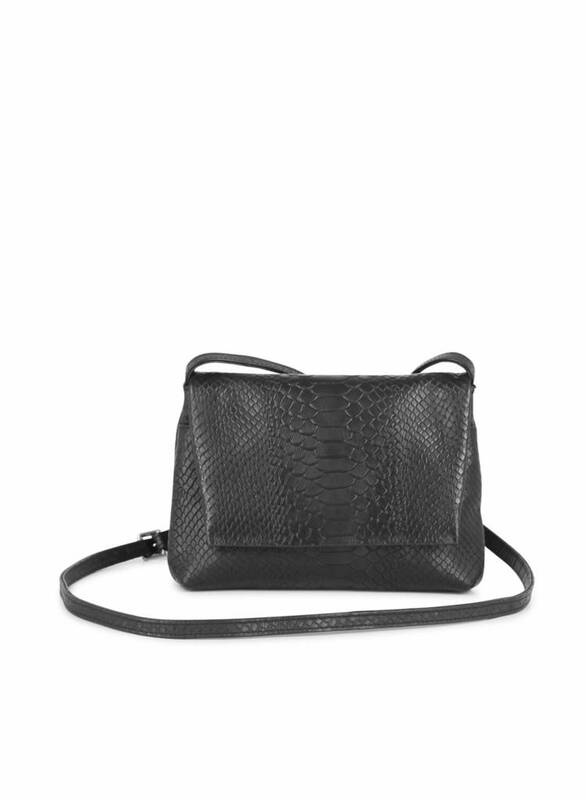 material: leather with python pint and cotton lining. size; H 16 cm x B 21 cm, D 4 cm. top quality is key, minimalistic style and elegance are guaranteed in this pretty bag.